Are you ready to stop smoking? 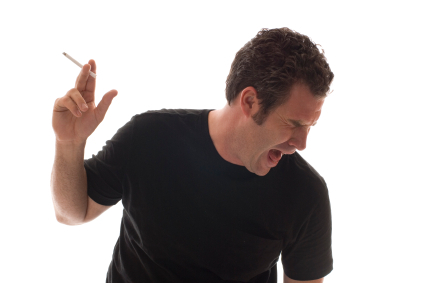 Hypnosis is recognised as the leading way to quit smoking for good. We offer free advice and consultations on stop smoking so that you can put an end to smoking before smoking puts an end to you. At the Chichester Stop Smoking Clinic we only work with people who are commited to stopping smoking. Do you really want to stop or do you thing you aught to stop, there’s a difference. If you’re ready then we can offer you the help you need to quit smoking for good. Hypnosis is a two way street and it’s success depends on the commitment of the client as much as the expertise of the hypnotist. We at the Chichester Stop Smoking Clinic have the expertise and if you have the commitment your success is assured. Stop smoking hypnotherapy is performed in one two and a half hour session and the hypnosis is tailored according to each individual client. Clinical hypnotherapists have undergone intensive and thorough training in hypnotic methods and are highly skilled in stop smoking therapy. In the beginning smoking seems cool and for the young and rebellious it gives a kudos and a way of being one of the crowd. As time goes on however, smoking is no longer cool or attractive in any way. Most people are disgusted by smoking and the older you get the worse smoking looks to others. Of course some people carry on regardless but you may be one of those who cares about the effect your smoking has on others. There really is no excuse not to stop smoking these days as the help is there for anyone who seriously wants to quit. Smoking kills, everyone knows it and one day it may kill you. Are you going to be one of those who puts off the inevitable until they get the news they’ve dreaded for years? The choice is yours, stop now while there’s a chance of recovery or wait another year, then another and another still. All you have to do is make the decision and make it firmly. Leave all doubts behind. Look for evidence that hypnosis works, there’s plenty of it about. Then when you’ve made the decision that the time is right make the appointment and look forward to it. Christine Wesson runs the Stop Smoking Clinic in Chichester, covering Bognor Regis, Worthing, Littlehampton and West Sussex.